Take a sunset boat cruise around Putrajaya Lake! Want to take a refreshing break from hectic Kuala Lumpur? Take a side trip to the administrative center of Putrajaya, located only 25 km south of the capital. A planned city built around a man-made lake, Putrajaya evokes the organized atmosphere of Singapore or the quietness of Bandar Seri Begawan in Brunei Darussalam. The city was named after the first Malaysian Prime Minister, Tunku Abdul Rahman Putra. In Malay and Sanskrit, the words putra or putera means “prince” or “male child”, and “jaya” means “success” or “victory”. Planned as a garden and intelligent city, 38% of the area is reserved for green spaces by emphasising the enhancement of natural landscape, making the city easy to explore on foot. Take a stroll around the square fronting Perdana Putra, the office complex of the Prime Minister of Malaysia, and Masjid Putra, the principal mosque of the city built in 1997. For shutterbugs, don’t forget to bring your camera and tripod, as Putrajaya is an awesome place for urban night photography as many structures are beautifully at night. Another relaxing way to explore the city is to take a bicycle tour around Putrajaya Lake early in the morning or late in the afternoon to avoid the intense heat of the day. Another way to enjoy the city’s well-lit buildings and futuristic bridges is by taking a boat cruise around the lake, especially at nightfall. Cruise Tasik Putrajaya offers trips around the lake aboard fully air-conconditioned luxury cruise boats (MYR 50 per adult) or, for a more romantic and intimate touch, on dondang sayang perahu (MYR 40 per adult), which are genuine replicas of the local Malay traditional perahu or wooden gondola-like vessels, all intricately crafted and made in the state of Terengganu. A spectacular time to take a boat cruise is during special occasions when fireworks light up the lake water. We got to watch the fireworks show of the Dubai team that culminated the Putrajaya International Fireworks Competition 2013. HOW TO GET THERE: Putrajaya is 20 minutes away from Kuala Lumpur aboard the KLIA Transit (MYR 9.50), which stops at the Putrajaya & Cyberjaya ERL Station. Note: KLIA Ekspres services which is a special service route of KLIA Transit do not stop at Putrajaya. There are public two-hour tours at 11.30 AM and 3 PM on Saturday and Sunday only, departing from the information centre at Selera Putra adjacent to the Putra Mosque, that charge only a token RM 1 for the bus. For boat cruises around Putrajaya Lake, visit Cruise Tasik Putraya at Jeti Putra,, Jambatan Putra Precint 1, 62000 Putrajaya, Malaysia. Email: sales@cruisetasikputrajaya.com or call +60388885539. For their rates, check out this page. This blog post was made possible through the Malaysia Hunt Tourism Hunt 2013 (where my team won second runner up! 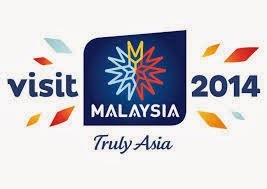 ), a media tour challenge organized by Gaya Travel Magazine and Tourism Malaysia to usher in Visit Malaysia Year 2014. Your travels are very great! Keep posting!